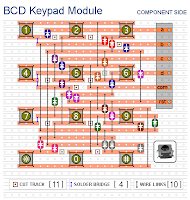 When any particular key is pressed, its value will appear in BCD form at the outputs (A, B, C & D). It will remain there until another key is pressed. 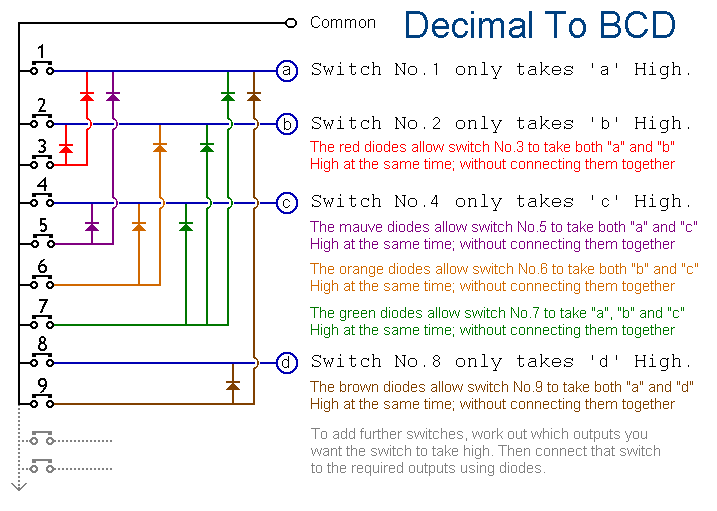 The 12 keys produce outputs up to "1011". 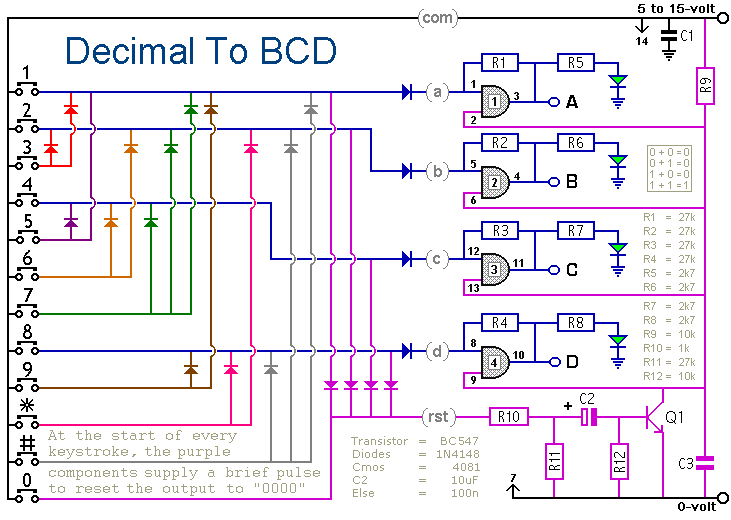 Extended to 16 keys, the circuit will give the full HEX to BCD conversion. The LEDs are a visual indication of the value. They are not necessary to the operation of the circuit. 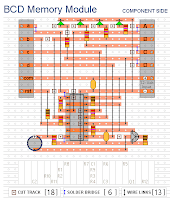 If you wish, you may leave them out; together with their associated resistors (R5, R6, R7). Because the keypad may be used without the memory, the layouts are drawn separately. 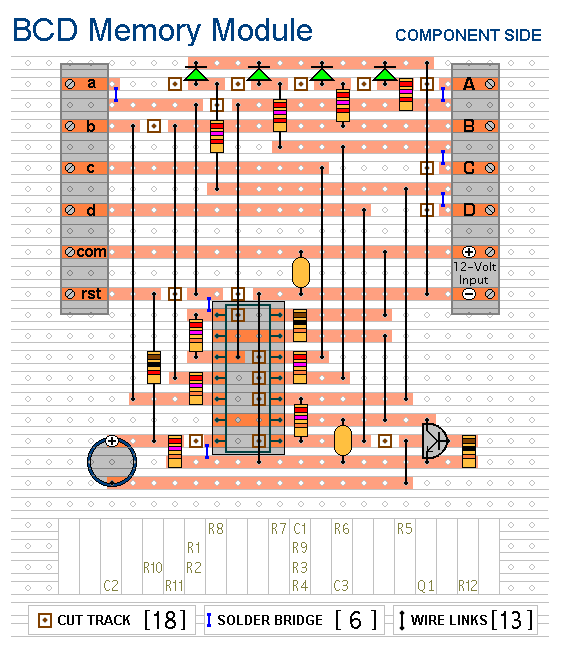 If you build them both on the same piece of stripboard, isolate them from one another. 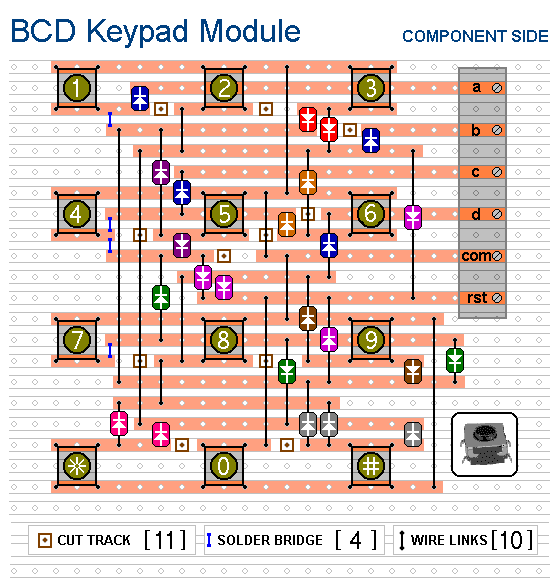 Cut all of the tracks except for the six that join the keypad terminals to the memory module. Always check carefully that the copper is cut all the way through. Sometimes a small strand of copper remains at the side of the cut and this will cause malfunction. If you don't have the proper track-cutting tool, then a 6 to 8mm drill-bit will do. Just use the drill-bit as a hand tool; there is no need for a drilling machine.